If you want to win the hearts of your loved ones with a perfect recipe, here is the one for you. 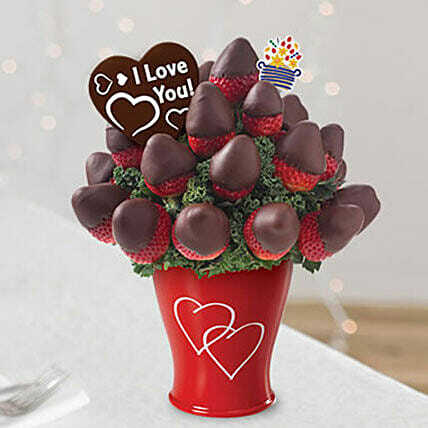 It consists of fresh strawberries that are hand dipped in gourmet chocolate and are arranged in a keepsake container with delicious Belgian Chocolate Pops. The container of the arrangement may vary.